WASHINGTON — The battle for Mosul ultimately will be the biggest U.S. operation in Iraq since the end of the last war. That was Monday’s message from Defense Secretary Ash Carter and Joint Chiefs Chairman Gen. Joseph Dunford, who said multinational forces have begun to cut off the city’s supply and communications lines, and to encircle and isolate Islamic State fighters with cyber and air and ground attacks. Some coalition forces are already going after ISIS inside Mosul, and the final thrust to retake it should be expected sooner than the distant future, Dunford said. I’m sure you have read about climate change and maybe studied it in school. You might be worried about how it will affect you. The truth is, the people who will be hit the hardest are the world’s poorest. Millions of the poorest families work as farmers. Changes in weather often mean that their crops won’t grow because of too little rain or too much rain. That sinks them deeper into poverty. That’s particularly unfair because they’re the least responsible for emitting CO2, which is causing the problem in the first place. The world’s population (P) is currently 7 billion and expected to increase to 9 billion by 2050. No chance it’ll be zero. Girls in poorer countries might say they’d use extra time to do their homework. Housework comes first, so girls often fall behind in school. Global statistics show that it’s increasingly girls, not boys, who don’t know how to read. 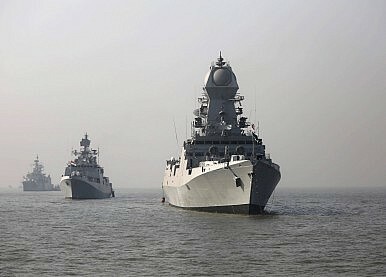 The South China Sea (SCS) is witnessing a dramatic rise in maritime tensions. Last week, China landed two fighter jets on Woody island – a subset of the Paracel group of islands – just days after the PLAplaced surface-to-air missiles at the same location. With a range of about 200 kilometers, the new HQ-9 missiles can target aircraft approaching China’s claimed spaces in the South China Sea. To add to regional worries, the latest satellite images of several of the Spratly Islands showed probable radar infrastructure, suggesting that the PLA may already have established full radar coverage over the SCS. Needless to say, there has been much speculation over China’s “strategic” intentions in the South China Sea. The act of placing missiles on disputed territory has been widely interpreted as a hardening of Beijing’s maritime posture – not just on account of the direct threat the missiles pose to foreign air-operations in the South China Sea, but also because the new armament complements the PLA’s existing air warfare capability on Woody Islands. While India isn’t party to the South China Sea dispute, four aspects of the recent developments might interest New Delhi. First, irrespective of the claims and counter-claims by the United States and China, it is clear that Beijing operates from a position of strength in the South China Sea, wherein it has physical control over critical islands in the region. China has shown the U.S. and its allies that what matters in a maritime territorial dispute is the actual ‘possession’ of the islands, and as long as the PLA exercises military control over the features, it will exploit their location to support broader territorial claims. For New Delhi, which has been concerned about the security of its trade-flows and energy interests in the South China Sea, however, Beijing’s placement of missiles points to a sober reality. As the disputed islands are militarized, it could imperil freedom of navigation, making Beijing the main arbiter of the accepted range of ‘legitimate’ operations in the South China Sea. Pakistan’s Khushab reactors remain in operation and continue to increase Pakistan’s inventory of plutonium for nuclear weapons. 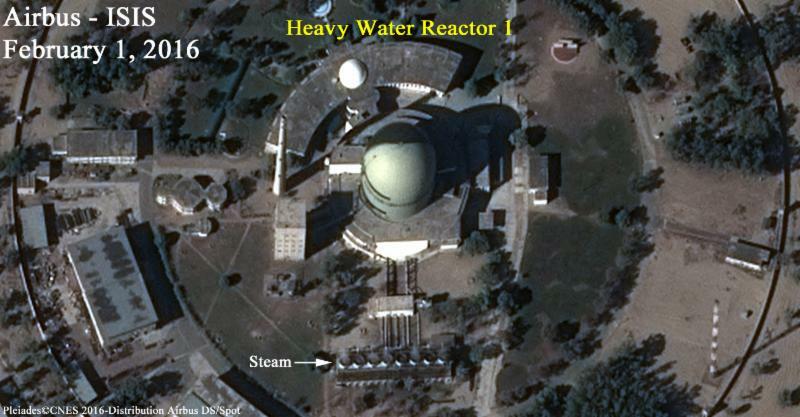 Commercial satellite imagery shows that at least three of the four reactors are in operation. The imagery also shows that construction is progressing at a new location in the southwest corner of the Khushab nuclear site. However, the ultimate purpose remains unknown. The European project was always bound to fail. Europe is a continent riven by geographic barriers. It has spent two millennia not only indulging in massive and constant internal wars, but also keeping written records of them, informing each generation of all the times their forebears were wronged. Over the centuries, great empires have risen and fallen, leaving behind distinct groups of people with different histories, languages and cultures. Any project attempting to fuse these disparate cultures into one monolithic state over the course of just 70 years was by its very nature doomed. It would inevitably encounter insurmountable levels of nationalistic resistance, and eventually the project would stall. That is the point at which we now find ourselves. Crises abound, and though they all have different facades, each stems from the same underlying issue: Citizens ultimately prize their national and regional identities over the supranational dream. The sovereign debt crisis and repeating Grexit scares, born of the introduction of the euro in 1999, have exposed Northern Europe's unwillingness to subsidize the south. The Brexit referendum, scheduled for June, can trace its roots to the 2004 enlargement of the European Union, and the ensuing wave of Polish migration to the United Kingdom. Meanwhile, amid the ongoing immigration crisis, national leaders are appeasing their populations by bypassing European rules and re-erecting border controls to stem the flow of refugees across their territory. In all of these situations, the same factors are at work: The driving forces within Europe are national in nature, and countries will ultimately put their own interests first. Sartaj Aziz concedes that the nuclear issue was one of the areas of differences between the U.S. and Pakistan. Pakistan on Wednesday ruled out any change in its “dynamic” policy of increasing its nuclear weapons, as it dismissed the U.S.’ request in this regard, citing India’s rapid military modernisation. A day after Secretary of State John Kerry asked Pakistan to review its policy of increasing its nuclear weapons stockpile — which currently is among the fastest growing in the world — Sartaj Aziz, foreign affairs advisor to the Prime Minister, conceded that the nuclear issue was one of the areas of differences between the U.S. and Pakistan. “In terms of the safety and security of nuclear weapons command and control system, we have made outstanding progress. Globally, all the international agencies and the U.S. have acknowledged that Pakistan has developed a very good system for the safety for export control, and command and control system,” Mr. Aziz said during an interaction at the Council on Foreign Relations. “But the [American] concern remains. Our nuclear capacity is a deterrent against Indian capacity. Deterrent is not a static concept. It is a dynamic concept. If your adversary goes on expanding its capacity, then you have to respond. It is not something that you can take something for granted,” he said. “We keep insisting in our relationship that India is the independent variable in this. We are the dependent variable. So if India were to restrain and U.S. would not increase its strategic and conventional imbalance between the two countries, then our task would become easier.” Pakistan can’t even afford this strategic and conventional imbalance with India, he said. The India-Pakistan Foreign Secretary-level talks could be rescheduled soon after a Pakistan probe team visited Pathankot “in the next few days” to investigate the January 2 airbase attack, Mr. Aziz said. The Pathankot attack left seven security personnel dead. All six terrorists, suspected to be from Pakistan, were also killed in the attack, which derailed the India-Pakistan “Comprehensive Bilateral Dialogue” that started following Prime Minister Narendra Modi and his counterpart Nawaz Sharif’s meeting in Paris. How far we have come since those words were written. The international order that so confidently expanded the G8 to the G20, that continued the enlargement of the European Union to 28 member states, that brought about the first democratic elections in Iraq and Afghanistan despite harrowing terrorist intimidation, that increased the membership of Nato to include not only former members of the Warsaw Pact but even the Baltic states that had been part of the Soviet Union, and that created the Association of South-East Asian Nations and brought China into the World Trade Organisation is now shuddering and fragmenting. What has transpired in this short period? The foundations of a global financial system on which international trade and development depend almost collapsed in the biggest economic downturn since the Great Depression, shattering confidence in the stability of that system, and although the leading economies have largely recovered the positions that they held in 2008, there is no assurance that an unpredictable and more total collapse will not confront states whose monetary policies have little room for adjustment. The US administration’s pivot away from engagement in the Near East and south Asia has brought forth the creation of Islamic State in Syria and Iraq and its metastases elsewhere, as well as the resurgence of the Taliban in Afghanistan. For the first time since Saddam Hussein’s invasion of Kuwait, a member state of the United Nations has been invaded and its territory annexed in contravention of the most basic principles of the UN Charter. The Budapest Memorandum by which the territorial integrity of Ukraine was guaranteed by the US, the UK and Russia has been violated with the same insouciance that characterised the treaty violations of the 1930s. After the P5+1 group of world powers (China, France, Russia, the UK and the US; plus Germany) reached a nuclear agreement with Iran, Iran chose to violate UN Security Council resolutions forbidding the testing of long-range ballistic missiles. MARCH 7, 2016 ISSUE The Bidding War How a young Afghan military contractor became spectacularly rich. Can an essentially human trait describe a political stance? On January 12, the spokesman of the Israeli Defense Force (IDF) announced the resignation of Brig. Gen. Eli Ben-Meiras head of the Research Division due to differences of opinion with the chief of the Israeli Military Intelligence Directorate, Maj. Gen. Herzi Halevi. According to several prominent Israeli media channels, the dispute revolved around disagreement on the way the Research Division should be managed — along with personal differences between the two senior officers. Such a situation is extremely rare, especially since Ben-Meir was assigned to his position only a year ago — the term usually lasts three or four years. Rare as it is, this event is a good opportunity to examine one of the most intriguing anomalies among intelligence agencies in the Western world. Unlike in the United States, where the body responsible for the National Intelligence Estimate (NIE) is the Office of the Director of National Intelligence — a civilian organ — the responsible official in Israel is a military officer. With recent dramatic changes in Israel’s intelligence community leadership, it will be interesting to see if there will be changes to Israel’s national assessment structure and practice. The head of the Research Division is one of several brigadier generals in the Military Intelligence Directorate. His direct commanding officer is the head of the Intelligence Directorate, who in turn reports to the joint chief of staff (JCS). The latter reports to the minister of defense, who is part of the government under the prime minister. However, the same head of the Research Division is also called “the national estimator” — i.e., the most senior official responsible for the national strategic assessment. He reports directly to the prime minister, minister of defense and cabinet without the need to get preliminary approval for his assessment from his superiors in the military. In this capacity, the head of the Research Division is expected to deliver an independent intelligence assessment regarding practically every geopolitical, social and economic challenge that Israel faces — now and in the future — regardless of the opinions of his direct commanders, the head of the Intelligence Directorate and the JCS. In other words, the head of the Research Division is beholden to two masters: He is the intelligence officer of both the government and the IDF. To complicate things further, each one of these entities requires different analytic inputs. Lastly, even when the head of the Intelligence Directorate briefs the state’s leadership, he relies upon the Research Division’s assessments, all of which are approved by the division commander. 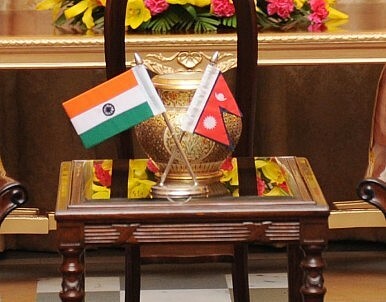 So, Are Nepal-India Ties Back on Track? Not quite yet, but realities will prevail. Last week, Nepal’s prime minister, Khadga Prasad Oli,arrived in India for a six-day visit. Oli’s visit to India, as I discussed prior to his trip, was primarily intended to normalize an important bilateral relationship that had been derailed over internal social unrest stemming from its new constitution, which was promulgated last year. However, despite spending nearly a week in India and meeting with several senior officials and Indian Prime Minister Narendra Modi, the two sides did not sign a joint statement, setting out a concrete agenda for the future. Indeed, it became apparent during Oli’s time in India that tensions over the constitutional crisis that gripped Nepal for months hadn’t passed. Is Kathmandu prepared to let bygones be bygones and push ahead with its closest historical partner? Politically, Oli’s hands may be tied. As I described in The Diplomat last fall during the peak of Nepal’s constitutional crisis, the country’s new constitution exposed a rift between the political elites in Kathmandu and historically disadvantaged Madhesi and Tharu groups, who live in the country’s southern plains and have close cultural ties with India. The latter took to protesting after feeling disenfranchised by the new constitution’s provisions for proportional representation and constituency delimitation. In January, the country was pacified after the Nepalese government acquiesced to a crucial amendment that incorporated provisions being demanded by the protesting groups, with India’s backing. Given the manner in which Nepal’s constitution was amended to satisfy the disaffected groups, who are seen as having close ties to India, many in the Kathmandu elite, close to the prime minister, feel that India inappropriately intervened in Nepal’s internal affairs. Oli, who has a reputation for being an outspoken populist, became prime minister after rallying a broad coalition of smaller political parties in Nepal. His Communist Party of Nepal (Unified Marxist-Leninist) was partly thrust into power after Nepalis became disaffected with what they saw as an excessive accommodation of Indian interests in Nepal by the recently deceased former prime minister, Sushil Koirala, and the Nepali Congress party, which itself has a close historical association with the Indian National Congress across the border. For the full story of the red teaming of Al Kibar, read this excerpt from my book—based upon interviews with senior Bush administration officials—Red Team: How to Succeed by Thinking Like the Enemy. Red teaming is not only about using a devil’s advocate to scrutinize and challenge day-to-day operations. For institutions facing a significant decision, red teaming may also be a one-time effort. We can see how a properly administrated red team can help ensure that a crucial decision is the right one by studying the following example found in recent national security decision making. China's recent deployments on Woody Island carry a larger strategic significance. Aside from being unmistakable signs of militarization, Beijing's actions highlight both the effectiveness of its strategic expansion into the South China Sea, and the dilemma Washington and others face in crafting a response. Reports last week that China has sent J-11 fighter jets to Woody Island came less than ten days after satellite images revealed two batteries of HQ-9 surface-to-air missiles had been deployed to the disputed island. While provocative, neither deployment is entirely unprecedented. Rather, they represent the latest in a series of incremental steps that Beijing has taken to bolster its strategic foothold in the Paracel Islands. Since late 2012, China has been steadily upgrading Woody Island's port facilities, radars and military infrastructure. Last year, China finished a brand new airstrip to support large-scale combat operations, and constructed hangars to service and protect forward-based aircraft. Following the U.S. Navy's first freedom-of-navigation operation (FONOP) in October 2015—which took place roughly 700km away in the Spratly Islands—China briefly deployed J-11 fighters to Woody Island, signaling its ability to use the outpost for aerial power projection.